Tera donating the book Ready Set School! A long tradition at York House is for our junior school students to celebrate their birthday by presenting a book to the library. 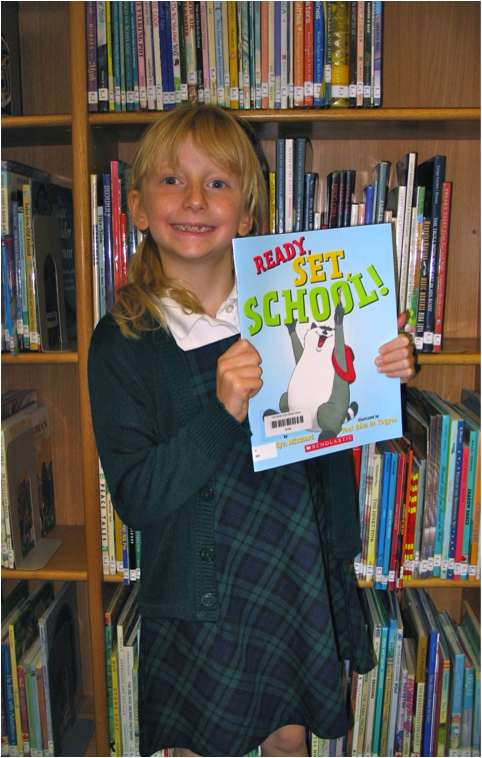 The birthday girl presents a book during assembly as her gift to the library collection for all students to enjoy. In recognition of this gift, inside each donated book is a bookplate with the donor’s name and birthday. These birthday book donations are one way that our junior school library collection is kept up to date with new and popular titles on an ongoing basis. Thank you!